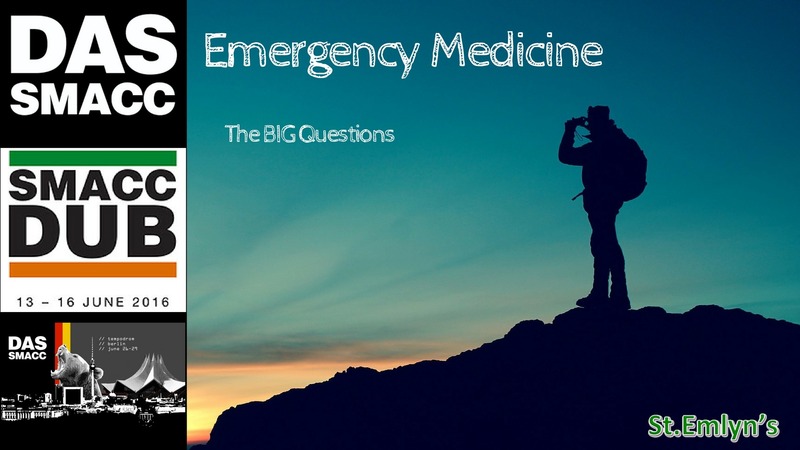 I was thrilled to kick off the EM stream at SMACC Dublin this year with a presentation on the big questions, in other words the strategic future, ofEmergency Medicine. This was an idea we put together to think about the wider strategic influences on the practice of EM in the UK and around the world. The talk is now live on the SMACC website 1and you can view it on the link below. We also have three blog posts that link to the presentation. Have a listen and tell me what you think? Following SMACC there were many more announcements from the tech giants on the move into personalised health monitoring and alerts which links well to the blog posts written at the time. The last 20 years have been a fascinating journey for me, I expect the next 20 to be just as exciting. Carley S. The Big issues in EM. SMACC. http://www.smacc.net.au/2016/09/emergency-medicine-the-big-issues/?_sft_conference=smaccdub&;_sf_s=carley. Published September 2016. Carley S. The big issues in EM: Demographics. SMACC. http://www.stemlynsblog.org/big-questions-em-part-1-demographics/. Published September 2016. Carley S. The big issues in EM: Politics. SMACC. http://www.stemlynsblog.org/big-question-em-part-2-technology/. Published September 2016. Carley S. The Big Questions: Technology. SMACC. http://www.stemlynsblog.org/big-questions-em-part-3-st-emlyns/. Published September 2016.